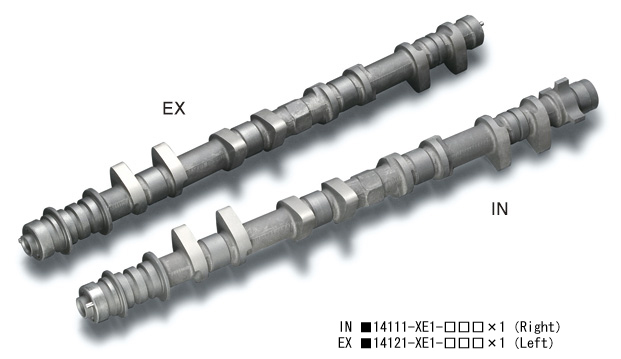 ♦14111-XE1-001 268 IN 12.0 ¥45,000 Standard springs can be used. For best effect, use TODA Up Rated Valve Springs. 14111-XE1-020 290 IN 13.3 ¥52,000 TODA Up Rated Valve Springs required & TODA Cam Pulleys recommended. In order to use with VVT system, a programmable ECU will be required to control VVT function range. VVT oil line is provided to camshafts. *Designed for 33mm valve lifter (bucket).